As this year’s contest coordinator of the Kathryn Hayes “When Sparks Fly” Contest, I wanted to share a bit about the contest and the meaning behind our theme. Under this year’s theme we are asking unpublished and self-published authors to summit a work of fiction which exemplifies the first spark of attraction and/or passion featuring their hero and heroine. 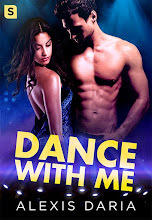 It is that moment we live for in romance when the hero or heroine we have been rooting for connects with their love. Be it as an admission to themselves they can no longer deny the attraction and emotions they feel, or it can be an actual encounter. It’s when the butterflies flutter and all the allure and flirtation has reached its peak. Will they give in? Will it be as earth shattering as we hope it will? Be it a kiss, a look, their first or steamiest encounter...it isthat turning point when the heat of love and attraction is ignited between our hero and heroine and the “sparks fly”. We are now accepting contest submissions until August 31st and want to read yours! Entry: No longer than 20 pages, and must include a 2-page synopsis (not judged). 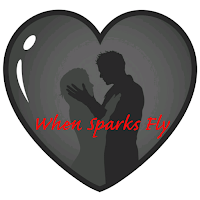 The entry should exemplify the theme of "When Sparks Fly," in a scene showing the moment when sparks ignite and the attraction between the hero and heroine becomes undeniable. Entries must be received as either .doc or .rtf (Rich Text Format) files only. Electronic entries only. Categories: No categories. All genres of romance including erotica and LGBT are accepted. For more details visit the RWA NYC website www.rwanyc.com and for any questions please contact contest coordinator, Vanessa Peters at rwanyccontest@gmail.com. Please also check out our blog tour all this week where we have a few of our first round published authors sharing tips and excerpts which best exemplify our theme. ABOUT THE AUTHOR: Born and raised in New York, Vanessa Peters lives and works out of her apartment in Brooklyn. A lover of art and self-professed romance junkie, she spends her free time, when not writing, reading and visiting galleries throughout the city. She is a true believer in love at first sight, and that the best stories come when opposites attract and sparks fly. Vanessa is currently working on her first full length novel . Visit her at www.vanessapeters.com. Twitter @VPetersBKNY Instagram @vpetersbkny.